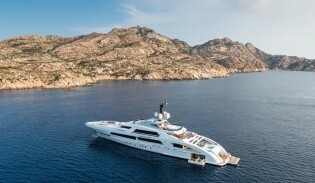 Heesen Yacht GALACTICA STAR awarded ‘Best Luxury Yacht’ at the Arabian Business Lifestyle Awards 2014 – Superyachts News, Luxury Yachts, Charter & Yachts for Sale. Arabian Business is the Middle East’s leading weekly business title – focusing on the English speaking and Arabic speaking business community. Arabian Business provides weekly in-depth analysis of the latest regional and international news and its influence on business in the Gulf. On April 2, 2014 Arabian Business hosted its inaugural Arabian Business Lifestyle Awards. The event attended by over 600 of VIP’s at Dubai’s Montgomery Golf Club and was dedicated to distinguishing up-to-date trends and styles, from lavish cars to super yachts, arts, fashion, fine dining, sports and travel. Toby Scruby, Al-Futtaim Marine, Heesen Yachts UAE agent, received the prize by Arabian Business Lifestyle Editor Salma Awwad and Joelle Mardinian from Maison De Joell. 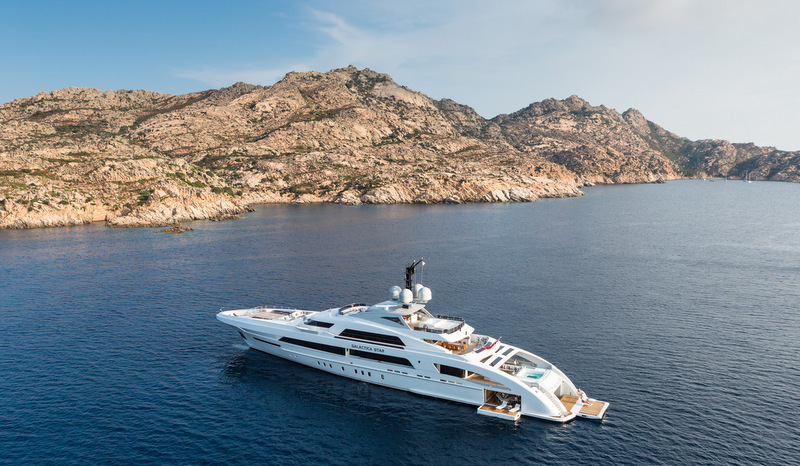 Galactica Star superyacht has now won her fifth international recognition; after receiving the Best of the Best Award by Robb Report China, the Prix du Design from HSH Prince Albert II of Monaco, the Nautilus award from Yacht Design Magazine and La Belle Classe from the Yacht Club de Monaco.